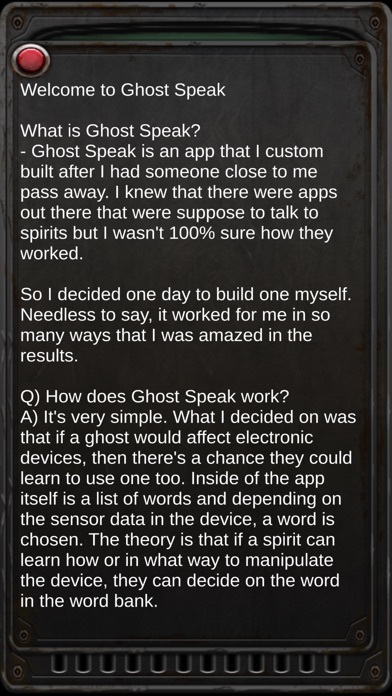 "I would recommend this app to all ghost communicating enthusiasts! 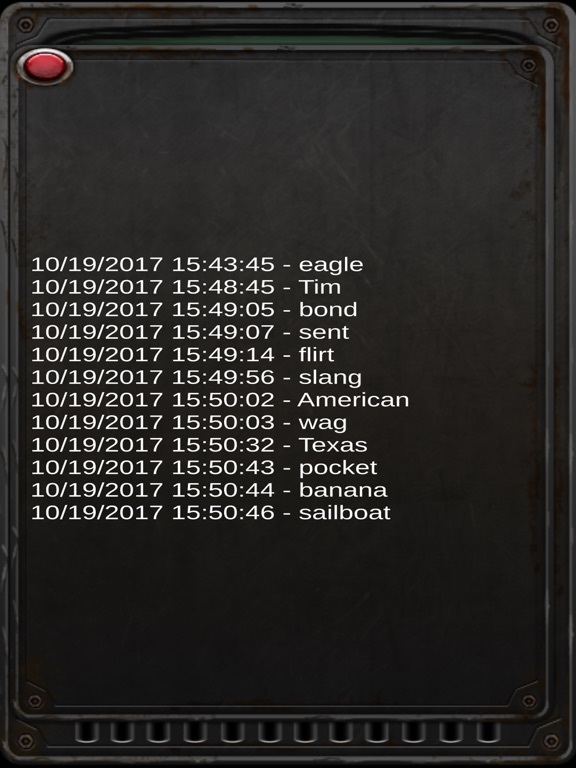 I am so happy with its use." "I'm an adult & I have every light on in the house!!! This app is wicked scary. I'm totally freaking out..."
Curious about ghosts, spirits, the undead? Ever see the tools professional ghost hunters use and wish you had one? Wonder if spirits can communicate with the living? 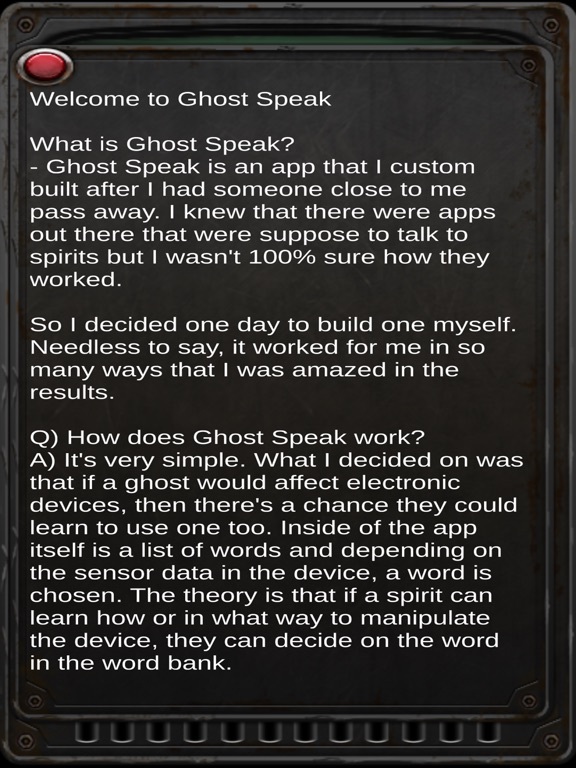 Well Ghost Speak allows spirits to manipulate sensor data to choose a word from an electronic word bank. The theory is that spirits can manipulate the sensors to choose the word that they wish to speak. 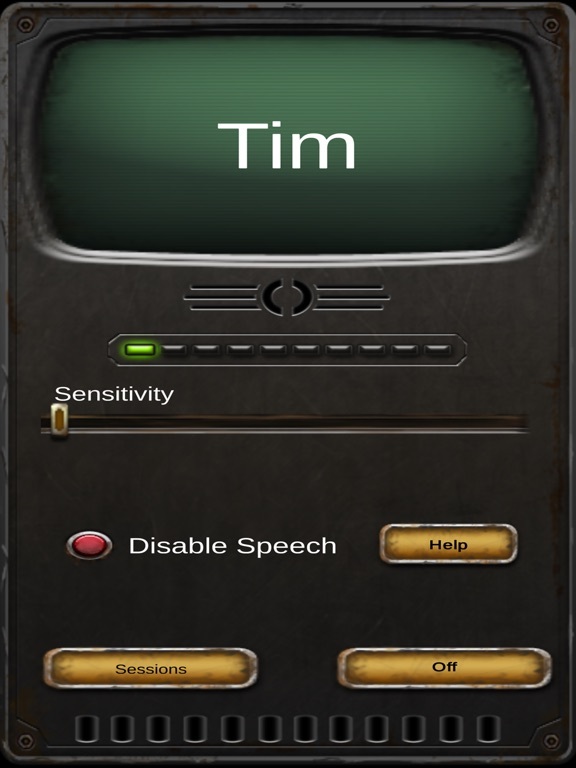 The app sets a baseline for what is considered "normal" activity among the senors used. 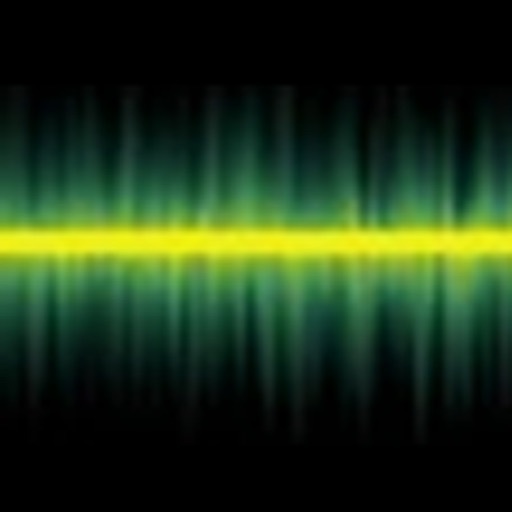 This baseline is then monitored for abnormal fluctations. To avoid having normal activity or handling disrupt the baseline we are using a modified version of a quantum fluctuation calculation that employs a new method with handling deltas. Please note that the results of this application cannot be verified scientifically so this application is for entertainment purposes only.